If you’re curious for ways to grow your social media numbers, to have more success, to get more followers and more clicks, the absolute best piece of advice we’ve found is to keep trying new things. My must-have tool for trying out new experiments is a simple, powerful social media dashboard. Get a free Buffer account and start testing today! Make it easy for website visitors to connect with you on social. What you end up with is a great-looking piece of multimedia at the end of your article, and a smooth way for folks to follow you, engage with your tweet, and continue the conversation! The Brafton blog took a look at the most popular times that marketers post on social media and the most popular times when posts are shared (thanks to some great data from Track Maven). We’ve found this to be true with our own social media research studies, and while a lot of different variables could be at play here (for instance, the effect of big publishers sharing into the evenings), it’s cool data to experiment with. The idea would be to post when people aren’t posting. Post at non-peak hours. Here’s how I’ve set this for my personal social media sharing. You can make them for free (here’s how) and then share them with your Twitter followers just as you would any other tweet. Not only that, you can also pin them to the top of your Twitter profile so that the tweet is there for anyone who visits your profile directly. I pinned an email signup form to the top of my profile, and I’ve added 220 subscribers this way (1/3 of my personal list!). We’re big fans of sharing your content more than once to social media. For this simple hack, we’d love to encourage a quick dive, deep into your archives to share again. Click to the second page of your blog, and notice the URL that appears. For us at the Buffer blog, it’s https://buffer.com/resources/page/2 (we use WordPress). Choose a random page number, preferably 3 pages deep or more. Type in the URL directly to visit that page. For example, with us this could be https://buffer.com/resources/page/9. 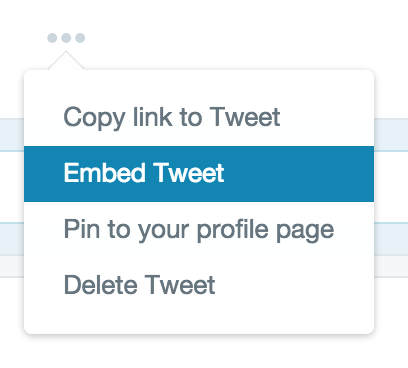 Once there, take a look around for any evergreen content and add it to your Buffer queue to share again. Images are some of the most engaging content on social media. Quotes are some of the most liked, favorited, forwarded updates out there. I find myself often sharing a favorite quote and not even thinking of the opportunity I’m missing by not making the quote visual. Time is the big one for me; it’s quick and easy to just drop a text quote into a tweet or Facebook update. Well, with Pablo, it’s just a few more seconds to turn that quote into an image. Fiddle with any settings you’d like. Where does Open Graph fit here? Open Graph is all the cool text and images you see when you share a link to Facebook and other social media sites. You can edit and experiment with these manually, adjusting the HTML code on the page itself. We use the WordPress plugin Yoast SEO to tweak things on a post-by-post basis from within our WordPress post editor. What’s one of the most looked-at elements of your social media presence? The profile picture! And what a cool place to test and see if one pic works better than another. Moz’s Cyrus Shepard has one of the most famous experiments here, finding that even things like color can impact the attention and engagement on a profile pic. If you’re able to get a cutout of your profile picture, you can add it onto any color background you choose (like Cyrus has done here). Aas an alternative to a color change, another hack to test could be adding a logo onto your profile picture. Buffer’s founder Joel does this, along with many others. To make this happen, you can hop into a program like Canva, add your profile picture as a new image, then upload and insert your logo (so long as it has a transparent background) right on top. Some folks include a link back to their blog, some their website, still others a newsletter signup form. You can choose whatever link you’d like, then when you’re ready, add a UTM code to the link so you can track the effect and engagement of the bio. Follow up in Google Analytics to see the results. The bio—on Twitter especially—offers even more neat ways to customize. You can add a hashtag to your bio to help increase your visibility through search. You can add an @-mention to your bio to link yourself to where you work or who you’re connected with, giving a bit more credibility and authenticity to your profile. Does a GIF give more engagement for the updates you post on social media? We’re thinking it might. We’ve already heard tell of experiments that saw GIFs bring in great results, and Twitter itself suggests that animated GIFs get more engagement. You can find and share an existing GIF (we’ve made that process as easy as pie here). Or you can create your own using some simple tools. I’ve found Gifmaker to be the easiest, no-frills tool for me. I can create a series of images in Canva, all the same size, then add them all to Gifmaker and set the order and speed of the animation however I choose. Asking questions as a general strategy on social media is a great one. We’ve got an intuition (backed by a bit of research) on which questions to ask specifically. Each email you send can be an easy mention for your social media profiles. You can build this into your email signature manually with a text link here or there. Or you can grab a tool like Wisestamp, which lets you add social media profiles (and a whole lot more) in a completely custom way. If you grab a tool like Sidekick, you can see right away all the great information about the social media profiles of the people who are emailing you. Then you’re just one click away from following or friending. Since these are folks who may have connected with you already over email, chances are good that you’ll get a followback if you reach out first. We’ve seen declining Facebook reach on our Buffer page for quite some time now. One idea to test the waters: Boosting a Facebook post. When we tried this with a $5 budget, we nearly doubled our reach—and I think I could have done a lot better with the strategy and techniques there. Could the results be even better with a more strategic approach? What results can you get anyway with or without one? To boost a post, you can click on the Boost button from any of your posts, or you can log into the Facebook Ads Manager and step through the process there. I find an incredible amount of visual inspiration whenever I scroll through Pinterest. People create some beautiful stuff! And I’ve never really thought I could do the same, at least not without a bunch of time and training. Turns out, I can build a pretty sweet Pinnable image, design skills or not, using Canva’s premade templates. Choose the Pinterest size at Canva. Grab a template that looks great. Change a background or a color (for variety). These two experiments are completely opposite of one another, but with the same intention in mind: Challenge your posting frequency. You can turn off your scheduling completely. You can double your scheduling. We’d love for you to have a chance to test this tip out! Grab a Buffer for Business trial to spend 30 days analyzing and learning from charts like these. Text updates tend to be some of the less-engaging types of social media updates to share, because the same fonts, typography, and styles are shared by every update. To get around this, you can share a screenshot of text from another website, which’ll help it stand out in the News Feed or timeline. To take a screenshot on a Mac, press Command + Shift +4. To take a screenshot on a PC, press Alt + Print Screen. To take a screenshot of your iPhone screen, press Power + Home. To take a screenshot of your Android screen, press Power + Volume Down. When a social media update is out there, you can share it in a couple ways: by retweeting/resharing natively or by mentioning and tagging others in the comments or replies. To mention specific people or pages on Facebook, you can type an @ sign followed by the name of a person or page. Same goes for Instagram, too. One thing I’m personally excited to learn more about is the effect of multiple images in an update. If you share two or more images with an update, might you get more engagement? I’m experimenting with this now (I’d love to know if you all have noticed any effect here). On Twitter, Facebook, and Google+, you can share mosaics of images by uploading multiple images at once. This is one of our most-requested additions to Buffer; you can follow the progress here. On Instagram and Pinterest, you can use apps like Layout, InstaCollage, or Pic Collage to build these multi-image images. To spice up a plain-text update (and to stand out in the Feed or timeline a bit), you can insert a text emoticon. You might be familiar with a couple of the more popular text emoticons like the shrug ¯\_(ツ)_/¯ and the table flip (╯°□°)╯︵ ┻━┻. Sites like Emojicons and Donger List (above) have a searchable archive that you can hunt by emotion or keyword and then copy-paste easily. To help keep your follower/following ratio balanced, it can sometimes help to take a peek into who you’re really following. Whenever I do, I tend to notice a number of accounts that are either inactive, empty, or who have yet to follow me back. Using a tool like Crowdfire, you can get this info quickly and easily—and go ahead with the unfollowing and managing straight from the tool. One way to find more exposure and connection on social media is to join a chat. You’ll get to interact directly with fellow users on a topic you care about. And as a fun side effect, you might gain more followers or contacts. There’s a great list of Twitter chats here, and we’d of course love for you to join us for #Bufferchat every Wednesday. Here’s a look at the top tweets we’ve sent at Buffer in the last 90 days. We find that we reach 4 percent of our Twitter followers with each tweet, so we’ve found a lot of success and value in resurfacing our best stuff for people who may have missed it the first time. Similarly to reposting your top tweet, you can repurpose a popular Facebook update for posting again. There’s a possibility that the Facebook News Feed might notice an exact replica of a post, so it’s best to change things a bit – new update text, new photo, etc. The team at Ad Espresso looked at 37,259 Facebook ads to find out how the best Facebook advertisers create and optimize an ad. One big takeaway: Shorter headlines are most popular (and often lead to the best results). What this might hint at is a chance to experiment with shorter headlines, both in the Open Graph settings of the links you share and in the main update text for sharing links to Twitter and other networks. Hashtags are great for visibility, and visibility of course will lead to follows, likes, clicks, and more. Websta keeps a running tally of the day’s most popular Instagram hashtags. If any of these fit with what you’re posting, it could be a good experiment to see the effect a popular hashtag has on your engagement! Which social networks send you the most traffic? You can find out by logging into Google Analytics and looking at Acquisition > Referrer. In our case at Buffer, we get the most traffic from Twitter, then Facebook, LinkedIn, and Pinterest. What’s cool to see is which other social networks are gaining steam. If these networks are growing for you (you can compare to last month’s stats to see), perhaps this could be a good sign to spend a bit more time there and kick up the traffic to the next level. When we went a month without posting new content, we found SlideShare to be a really wonderful use of our free time. In some cases, SlideShares got more views and traffic than most any blog post. Bonus: SlideShare is owned by LinkedIn and fits seamlessly with the sharing there. And Twitter has SlideShare support so that slide decks are embedded automatically within tweets. To build a SlideShare, you can create a presentation in PowerPoint, or you can build one in Canva with the presentation template (just export as a pdf and you’re set!). LinkedIn profiles have grown beyond just a resume. There’re now chances to display all sorts of different media on your page and to reorder things so that the most visual elements sit up top. I’ve added a few links to some of the blog posts I’ve written here for Buffer and I’ve also included the posts I’ve published to LinkedIn Pulse. What experiments have you been trying on social media? Which hacks and tips have made the biggest impact for you? I’d love the chance to learn from what you’re trying. Feel free to leave any comments (or questions) here, and we’ll jump right to them!